Taxes are due on April 17, 2018 this year, and you still have time to implement these measures and save thousands on the taxes you may owe. Invest in an IRA – Even if you do not use and do not max out the employer-provided 401(k) or 403(b) program, you can still stash $5,500 for the 2017 tax year to reduce the federal and state taxes you owe. If you are over the age of 59 1/2, you can contribute up to $6,500. If you are self-employed or did not setup a corporate payroll structure last year such as an S-corporation, you can bypass the IRA strategy and go straight to the SEP. Investing in a SEP as a business owner allows you to deduct up to 25% of your business net income (up to $54,000 in 2017). Invest in a HSA – The idea is simple and equivalent to the IRA account stated above. A health savings account (HSA) is a tax-advantaged medical savings account available to taxpayers in the United States who are enrolled in a high-deductible health plan (HDHP). If you have a high-deductible health insurance plan, you are eligible for a Health Savings Account (HSA). If invested wisely, the funds in a HSA account can grow tax-free for many years, and can be used for many types of qualified expenses. For 2017, the HSA contribution limit for both employer and employee for an individual was $3,400, and $6,750 for a family. Individuals 55 or older are eligible for an additional $1,000 catch-up contribution. Stop leaving money on the table. If you are eligible to itemize instead of the standard deduction, here is what you should not forget: moving expenses for a job, expenses incurred while searching for a job, charitable contributions, student loan interest, mortgage interest and property taxes. A big one that people miss completely each year is unreimbursed expenses at your regular workplace. The standard deduction for single taxpayers and married couples filing separately is $6,350 in 2017. If you regularly dine out with your co-workers, clients and business associates and your firm does not reimburse you for these, you should itemize, dig through your records and deduct these. The same goes for other expenses that your workplace does not reimburse such as your cellphone (if used for work), subscriptions to trade and business publications, parking and vehicle expenses, home office expenses, business gifts given to your co-workers and clients and any work-related education that you may have engaged in. Business owners – You’re already ahead of the curve if you own a side-business. This is the number one way to save on taxes in the United States, and generate wealth. But even business owners don’t keep good records, don’t establish proper corporate structures for the best tax-savings, and don’t deduct everything they remotely can deduct in the ordinary and normal course of running their business. Deductible costs can include transportation, baggage fees, meals, lodging, laundry, entertainment, internet, meals with prospective or current clients, and business calls. For a non-exhaustive list of business deductions, click here. If you don’t have the time to engage in these tactics, file for an extension! Do not rush your taxes and make mistakes on your tax returns. 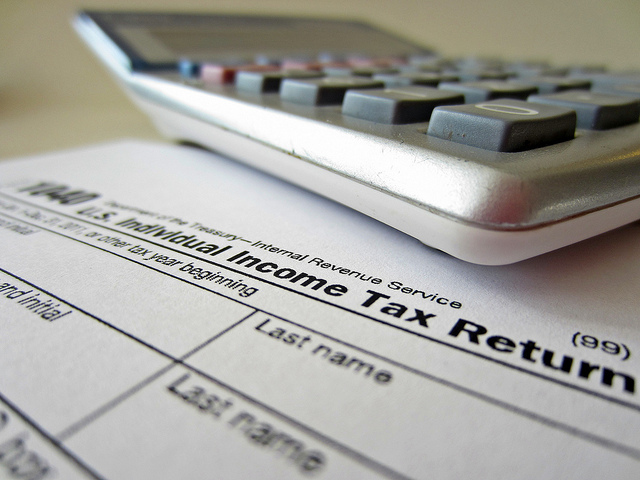 Returns filed later are also less likely to be audited. Just remember that an extension to file is not an extension of tax due so you would need to calculate approximately how much you owe (if anything) and still pay it by April 17, 2018.